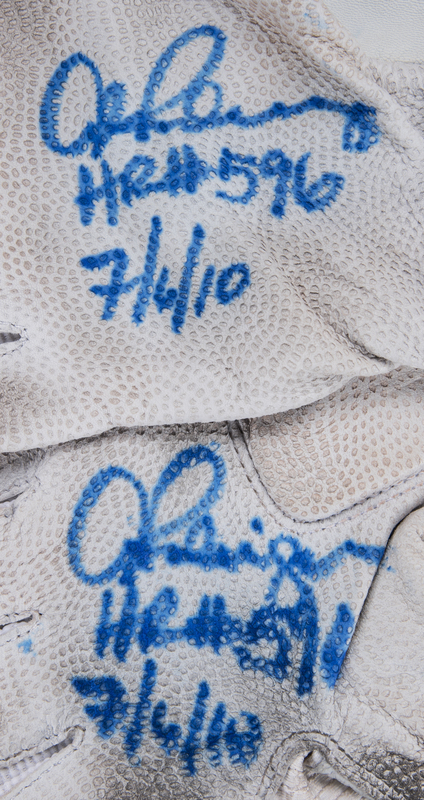 Alex Rodriguez wore this Nike batting gloves against the Oakland Athletics on July 6th, 2010 at Oakland-Alameda County Coliseum. Rodriguez homered twice in this game to lead the Yankees to a commanding 6-1 victory over the A’s. Rodriguez’s first homer in this game, a grand slam off Trevor Cahill in the third inning, was the 596th of his career and 21st grand slam of his legendary career, tying Rodriguez with Manny Ramirez for the second most in MLB history. By the time of his retirement, Rodriguez hit 25 grand slams, the most in baseball history. In the sixth inning of the July 6th contest, Rodriguez hit a solo homer off Cahill for his second of the game and his 597th career blast. The 14-time All-Star finished the game 2-3 with five RBI and a walk. 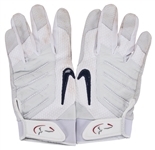 These offered Nike batting gloves are white and gray, with a raised gray and red logo applied to each wrist strap. A “13” tag is sewn on the underside of each wrist. 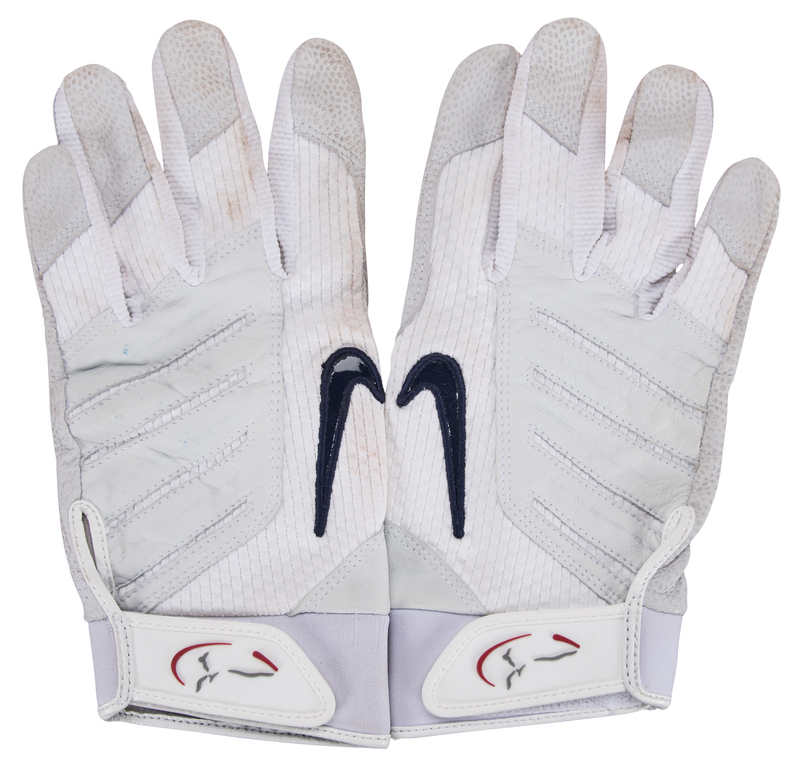 A navy Nike swoosh is applied to the top of each hand. 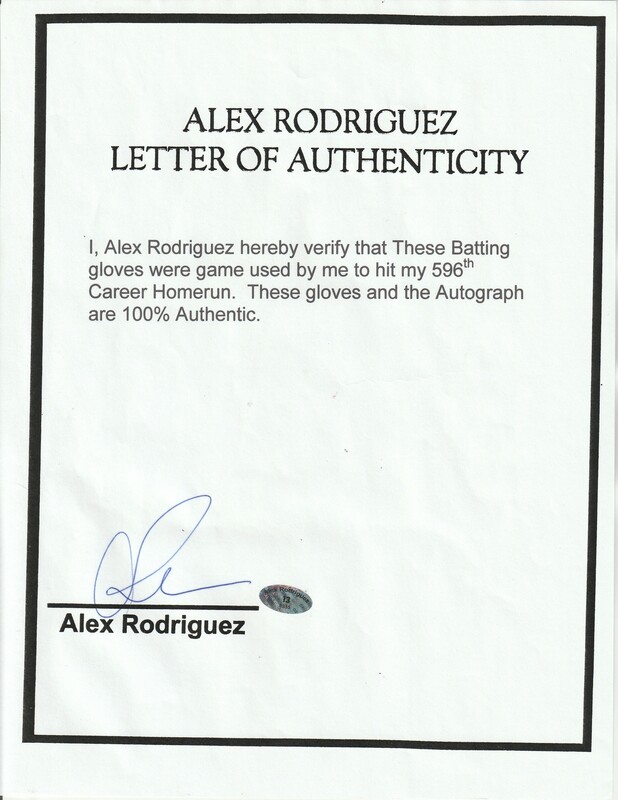 Rodriguez has signed the palm of each glove in blue marker, inscribing “HR #596 7/6/10” in addition to each signature. 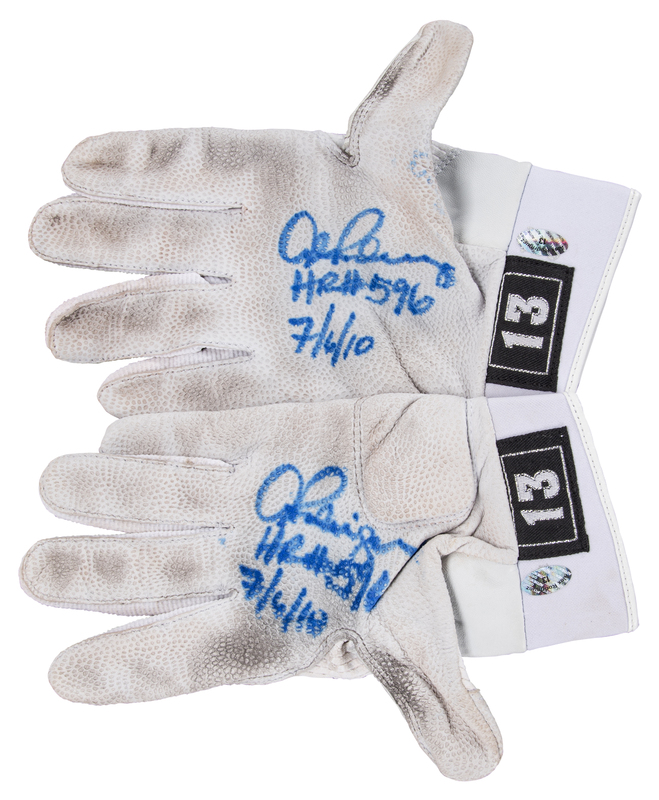 These gloves come with a LOA signed by Alex Rodriguez.